In 1980, before my parents married, they went to Portugal on a romantic getaway. I remember looking at old photos of them from their trip—my mom hanging onto my dad on the back of a motorcycle; them lounging on a beach, with pale orange sand and bright teal water; my mom’s curly hair blowing in the wind as they stood on a cliff looking out at the ocean. I’ve always wanted to go. This year, I got the chance. My man and I took a quick (really, only 4.5 hours) jaunt across the pond, and landed in Lisbon bright and early on a Saturday morning. On the far west side of Europe, Portugal is about on the same latitude as Cape Cod—but it feels more like California. Warm, dry, breezy—it’s a climate anyone can get used to. 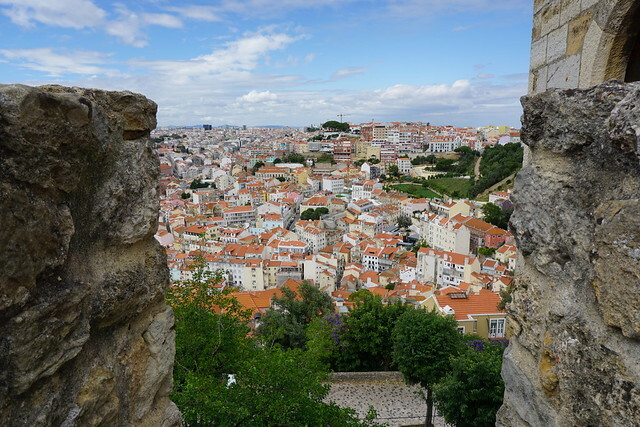 “Lisboa” to locals, Lisbon is the oldest city in western Europe—older than London or Rome. It may not have the pedigree as some of its more well-known European counterparts, but it is absolutely worth visiting. 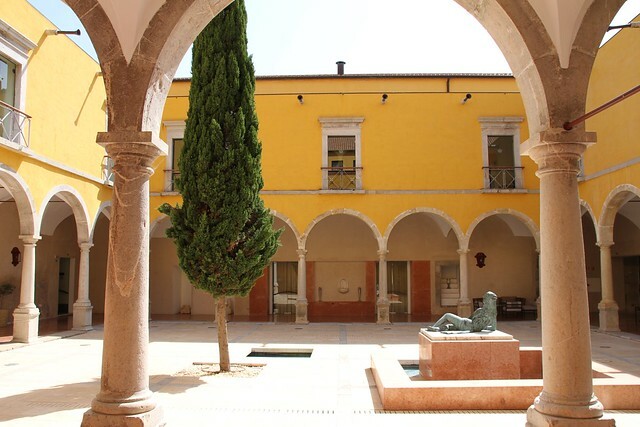 A mix of ancient, bohemian and chic, it offers something to every type of traveler. One benefit of visiting Portugal is the cost. Especially compared to a London or a Paris, it is not an expensive place to visit. Once you get there, the hotels, food, drinks, and entertainment are all very reasonably priced, meaning we got to stay in stunning suites and historic hotels for a fraction of a New York hotel room. 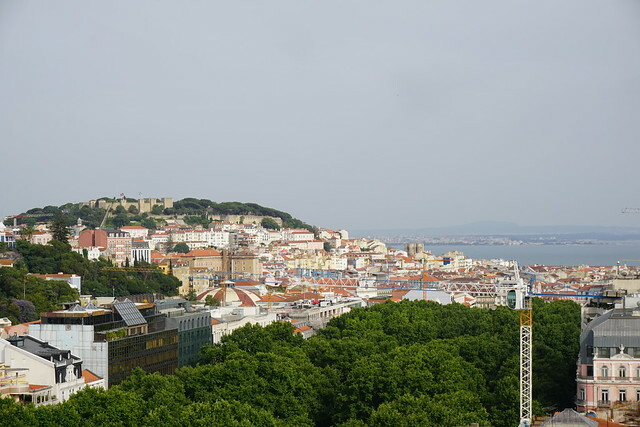 Lisbon was lovely, but what we enjoyed most in Portugal was beyond the city. 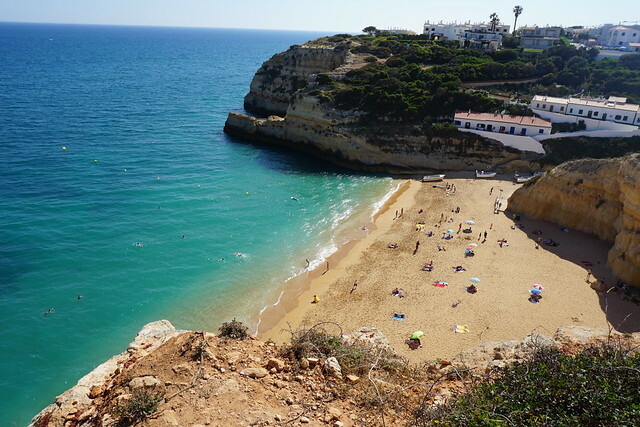 Portugal has a myriad different geographies: the northern hilly wine region, the beautiful western coastline, and, of course, the stunning cliffs of the Algarve. First, we rented a convertible. Do not visit the Algarve without a convertible. The beaches will be as beautiful, the air will be as warm, and the food will be as delicious—but you will never know the magical zip around the twisty roads that lead through the country and around the cliffs of this incredible region of the world without a convertible. These drives—past farmland, along stretches of low stone walls (that are who knows how old), through groves of ancient trees that open up to an expanse of ocean, that fades from shining teal to rich navy—were among the most memorable parts of the trip. Whether you’re in Alfama, the oldest district in Lisbon, or on the gorgeous beaches of Faro in the Algarve—it’s fair to say you might fall in love with Portugal. Here are our highlights. 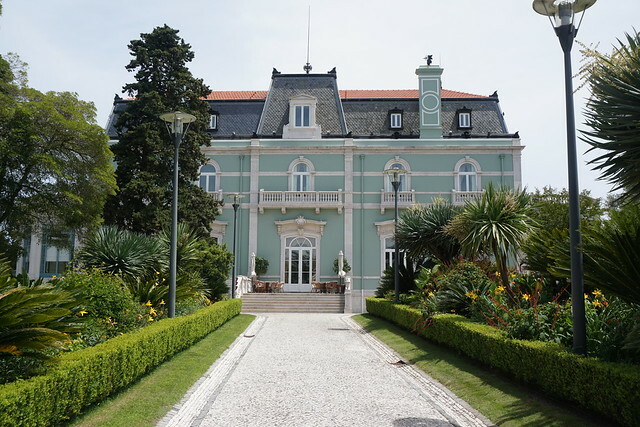 Pestana Palace is literally a former palace, which means we loved it. And it is as plush and luxurious as it sounds. The historic home has two wings of high-end rooms, furnishings and a large pool. It is along one of the main streets in the city, but not quite in the center, so it does entail frequent cab rides. But if it’s relaxation you’re after, this is your ticket. 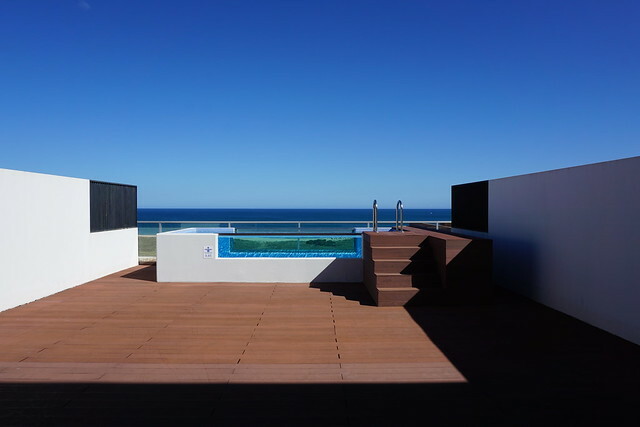 When in Lagos (western part of the coast), stay at the Sensimar Lagos by Yellow (Meia Praia). Beautiful place. 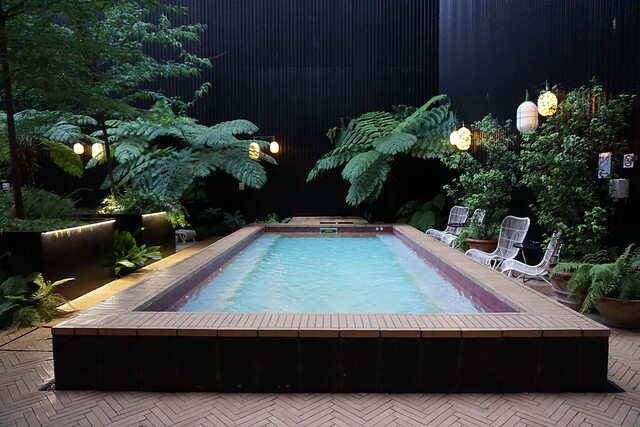 We took a room with a small private pool—decadent, but also simple, efficient and relaxing. The property will feel like a cruise ship (the daily note under the door about group activities; the over 70 crowd at the bar at happy hour) and it’s kid-friendly. But, it’s situated nicely along the coast; good for day trips to beaches, etc. 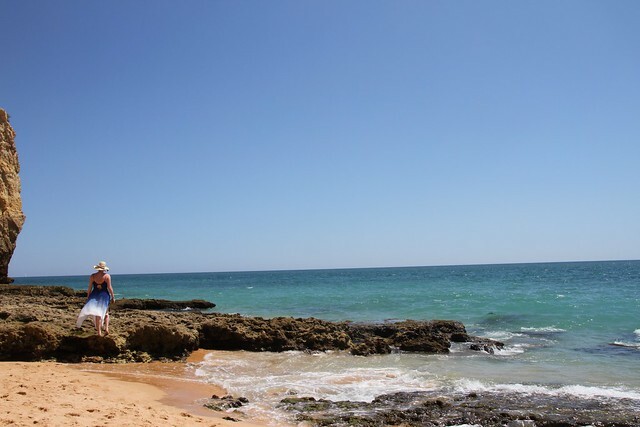 Stay at the Pousada Tavira, which is farther east along the coast. Lovely. Secluded. Old. Charming. The Pousada was a convent, and features moorish ruins underneath. A garden across the way. Sparrows that speed through the air over the pool at sunset. A sweet little town down the hill. Just lovely. Sunset by the pool is required. Hotel Valverde. 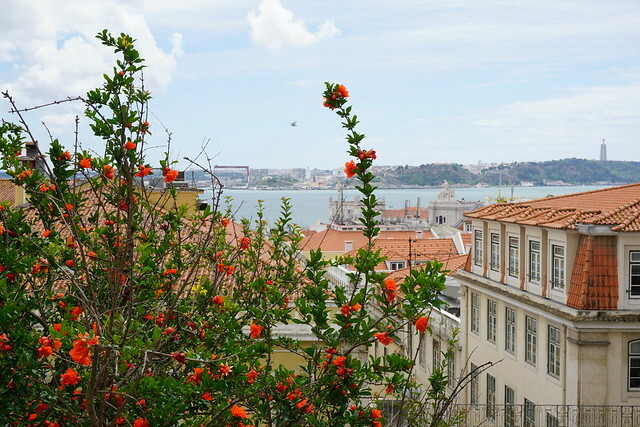 We would have stayed at this lush, private enclave on the main upscale drag in Lisbon, had there been rooms. Dinner downstairs at Sitio is not at all to be missed. It was one of the most beautiful settings in which we dined all week. At the meal’s end, we ordered espresso, and loved the espresso cups so much, we bought two of them. It is heavenly, and it must be done. 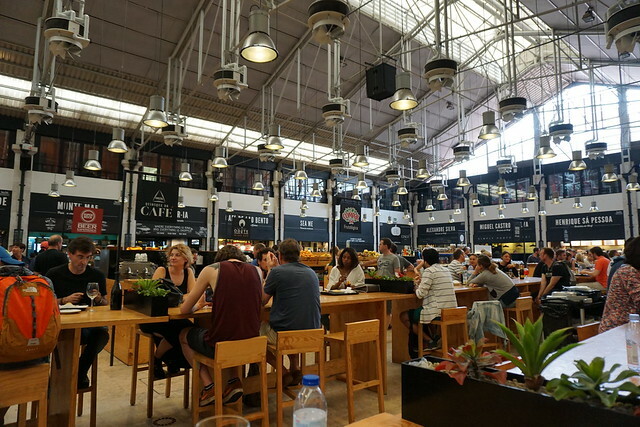 We tried the trendy, open air market, called Time Out Market, with over a dozen restaurants and vendors for lunch one day. Yes, it is called Time Out for the typical tourist rag. For a quick lunch, there are plenty of options. But it’s a bit crowded and touristy. Restaurante Atlantico is in the town of Lagos. We went two nights in a row. Sea. Breeze. Stars. Romance. Friendly patio cat. Get the steak with pepper sauce; they cook it at your table. 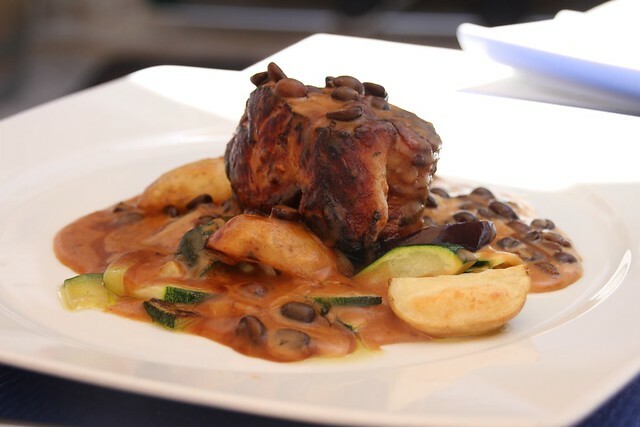 When driving from west to east, along the Algarve coast, make sure to stop in Faro for lunch. Vila Adentro serves up a delicious mid-day feast, charming service, and amazing gelato, all on the sunny patio. For a more chill night, head to Lagos for a candle-lit dinner over beer and comfort food at Mullen’s. It’s a safe haven in an otherwise tourist-trap of Lagos nightlife. The back patio is a nice refuge. In Tavira, head to Pausa. It doesn’t have a website, and the recommendation was overheard. It turned out to be our most memorable meal—incredible food, awesome service, perfect ambiance overlooking one of Tavira’s busy streets. Go to all of the beaches. Climb down rock stairs and through caves to get to the most deserted ones. Don’t be afraid to swim around boulders to find a stretch of sand that is still untouched by tourists. They are some of the most beautiful beaches I’ve ever seen, and you really shouldn’t be doing much else. Cocktail around Lisbon, of course. 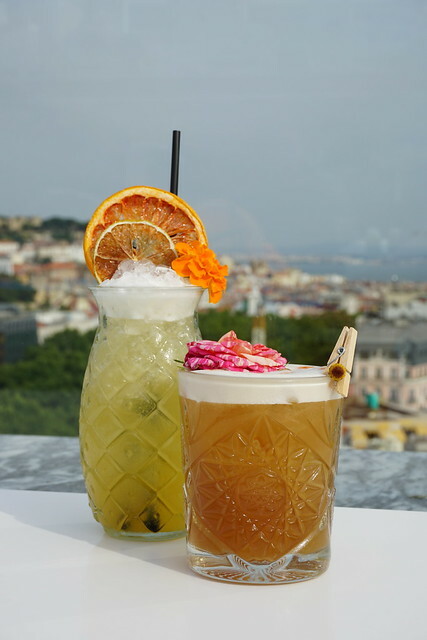 We ended up with two favorite cocktail bars after our brief stay in Lisbon. For a spectacular view of the city, head to the roof of the Tivoli Hotel on one of the main drags the Av. da Liberdade (same street on which the Hotel Valverde is located). Situated toward the top of the hill that slopes down to the sea, it offers views of the small valley in which Lisbon is situated. Wise visitors will attend at around 5:00 p.m.—which, though it may seem on the early side for drinks, affords them the benefit of about two hours of freedom from the sceney crowd that descends on this spot at around sunset. 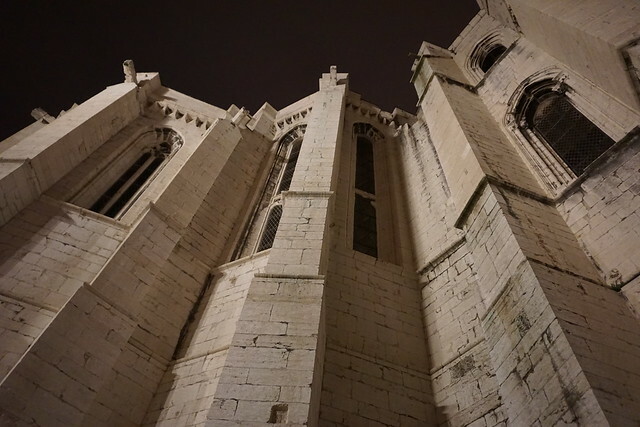 The other location, best advised after dark, is found beneath an ancient roof-less church in Lisbon called the Carmo Convent. Not sure it even had a name, but it’s worth the climb up the hill (or steps) to sit outside under the gothic ruins with a fancy cocktail. Hoard all the tiles. Go to the adorable tile shops by the castle in Lisbon. The castle has a great view, too. Pick up some vintage jewelry. We picked up quite the piece, which made me a bride to be on the last day of our trip! As we returned west, I thought of my parents on their trip there, some 30 years ago, and I understand why they chose this magical country. Though it offers something for all kinds of travelers, for those who are in love, it is a heavenly destination.